1. Know what you are buying. Leads are an investment in your agency and it is important to understand what you are buying. You should spend time with your lead supplier to know what exactly what filters are on the leads and the price you are paying. While you may think it would be best to only buy the ideal “prospect”, you should consider a more broad approach where you buy as many leads as possible, so you can quote the largest number of people possible. More quotes will equal more policies sold. 2. Make sure that your systems are integrated with your lead supplier. Home and auto insurance leads work. They will help you to quote more and write more insurance business. 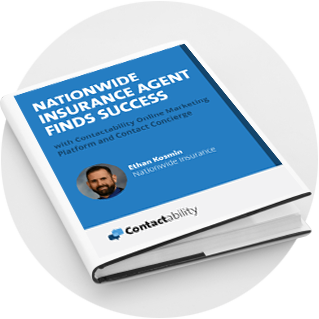 Buying insurance leads is a key marketing and sales strategy that the most successful insurance agents utilize. They understand that it isn’t a one-time strategy for when sales are slow. To be successful, you should make sure that you spend time upfront making sure that the leads flow into your CRM and quoting tool. The time you spend making sure that your sales system is set-up properly will allow you to be more effective and close more sales. If your lead supplier is unable to send your leads into your systems, you should consider one that can. 3. Educate your team and yourself. It is important that you present yourself as knowledgeable about where your leads are coming from. You should make sure that your sales team understands how leads are generated online. How consumers are marketed to and the process they undertake to get to you. When you know this, you can be more effective in your communications with your leads and will be able to close more sales. 4. Work with a sense of urgency. The home and auto insurance leads you are buying are sent to you in real-time. The insurance leads was just online looking for a quote. It is important to call the lead, the moment you receive it, as they are looking to buy. You should have your lead company send you notification when you get leads via text, as well as by email. When leads come in, it is critical that you call them asap. Consumers will not be waiting around for someone to call them, if they don’t get contacted immediately, they will probably continue shopping until they find someone to help them with their home or auto insurance. 5. Have your best closers work the leads. Some agency owners will buy leads for their worse performers, to help them be more successful. This is a mistake. 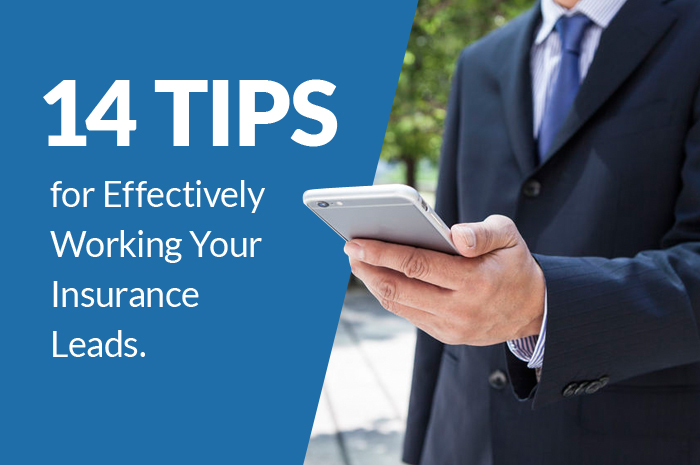 The car and home insurance leads should be worked by your best performers. When your best performers work the leads, you should expect to receive the most sales from your investment. This will also serve as a motivation to your lower performers to increase their sales, so that they can get some of the car insurance leads you are buying. 6. Use multiple communication channels. The days when consumers had one home phone are over. To reach your home or car insurance leads, you will need to employ multiple forms of contact. You should call, text and email. If you are not able to reach the prospect, send a Facebook or Twitter message. The lead will see that you want their business and will be more likely to work with you. 7. Contact at various times. If you are not able to immediately reach the lead, it is important to try back at various time, including the weekend. The lead may be at work or busy at home. Do not assume that if the lead doesn’t contact you back, that they are not interested. 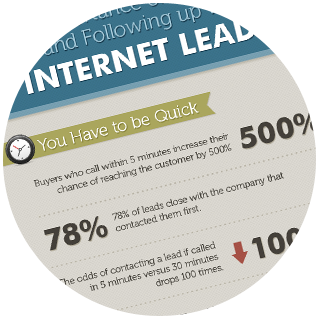 It is important to keep following up and reaching out to the leads you have purchased. 8. Schedule follow-ups. Do not leave following up with a lead to chance or to your memory. You will get busy and forget. You should schedule every follow-up that you attempt with a lead. Every follow-up is an opportunity for a sale and a future referral. You should follow-up with multiple forms of communications as well. Leaving messages work as well. 9. Listen to prospects needs. Many of the people who you will be getting to quote are looking to save money on their insurance. They are looking for a better rate or better coverage for what they are paying. It is important to understand what the lead is looking to accomplish with their home or auto insurnace quote, so that you can customize it to meet their needs. 10. Offer multiple options with available discounts. Insurance buyers have many options for meeting their insurance needs. Some agents expect to offer one level of coverage and the lead to either accept or reject it. This is a mistake. You should be willing to work with the lead to create an insurance plan that you customize for them. In the long run, this will enable you to write more business and improve your long term retention. 11. Cross-sell other products. It is important to cross-sell other insurance products with every contact. Most consumers rarely ever shop for new insurance on their home or look to see if they have appropriate level of coverage. You should offer to do an “insurance analysis” on every person you speak with. This analysis will enable you to build a relationship and sell more policies. You should cross-sell all the insurance types you are licensed to sell. 12. Work nights and weekends. We now live in a 24/7 world. Consumers want to purchase insurance when they have time. Regardless of when that is. As someone that is looking to grow their business, you should be willing to work when consumers are shopping and should purchase leads throughout the week. 13. Thank and ask for referrals. Whether you write a policy or not with a lead, it is important to thank and ask for referrals. These referrals will allow you to quote more and write more business. Thanking someone will also leave a positive impression in the leads mind, and they will be more likely to stay with you longer and come back to you, in the event they didn’t buy. 14. Track your activities and results. It is important to track all your lead activity and the results you achieve. With this data, you can seek to continuously improve your performance. You should also share this information with your lead provider. The more data you have to share with your lead company, will allow them to potentially modify the leads they are sending to help you achieve more optimal results.